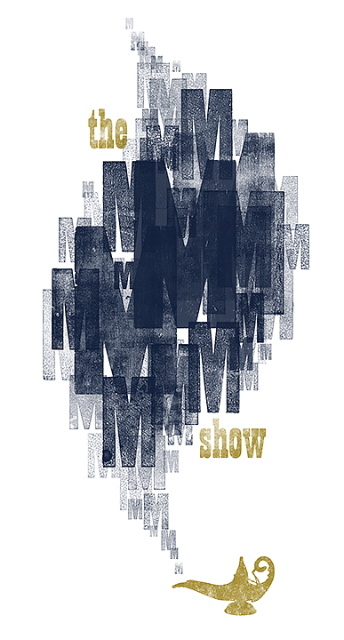 The opening reception for the “MMM…Show,” an exhibition of design and manufacturing products by Louisiana Tech School of Art faculty members, will be held from 6-8 p.m. Friday, Dec. 13 at the Enterprise Center, 509 W. Alabama Ave. The exhibition will feature works by art faculty members Todd Maggio and Patrick Miller. Items to be displayed include screen printed posters, a laser-cut and etched acrylic poster, a glow wall that visitors can draw on with lasers, hanging mobiles made from laser-cut acrylic and paper, an interactive motion-activated music installation and more. “The list of works is very diverse in an effort to illustrate the range of capabilities available at the Thingery,” Maggio said. The “MMM…Show” is made possible by the Thingery, a multidisciplinary lab at Tech. Maggio said anyone across campus can make use of the latest manufacturing and prototyping to make their ideas a material reality. This exhibit combines traditional elements of graphic design with new manufacturing and prototyping technology from the Thingery as an artistic medium with an emphasis on entrepreneurship and the marketplace. Maggio and Miller draw on years of professional experience in graphic design to re-envision their discipline and explore creative alternatives to the typical client-oriented projects. The show will run through Jan. 18. Gallery hours are 8 a.m. to 5 p.m. Monday through Friday, with the exception to scheduled university closures. The event is free and open to the public. For more information contact Hannah Bustamante, administrative assistant/gallery coordinator, at 318-257-5281 or hannahb@latech.edu.